Several other complaints cropped during the past week of campaigning, including one indicating that volunteers for Clean Slate were campaigning in the hallways of 102 University Centre, too close to advanced polling stations, after being warned by deputy returning officers that doing so was a violation of the election bylaws. The slate received a 20 per cent reduction of their budget, equivalent to five per cent for each of the four candidates present that day, which van Rooy explained was the minimum penalty for the violation. Clean Slate presidential candidate Tyler Omichinski said that Clean Slate candidates had warned volunteers to be careful about adhering to the UMSU election bylaws. “ [ . . . ] That being said, the advanced polling station is down a hallway where most people don’t really know where it is, so it’s kind of hard to walk that line when you’re trying to show people where the advanced polling station is; [ . . . ] it’s hard to tell them without showing them and violating that rule,” said Omichinski. Clean Slate vice-president (internal) candidate Chris Struc had previously received the penalty of a 25 per cent reduction to his budget as a penalty for being seen — and photographed — wearing his campaign t-shirt in the Degrees Diner and therefore passively campaigning. This violates UMSU Bylaw 1040, 10a, which disallows campaigning in UMSU businesses. Four complaints were also filed by a volunteer for the Clean Slate campaign, regarding the banner sizes of Working Together and Get More slates, all of which were dismissed by the CRO. 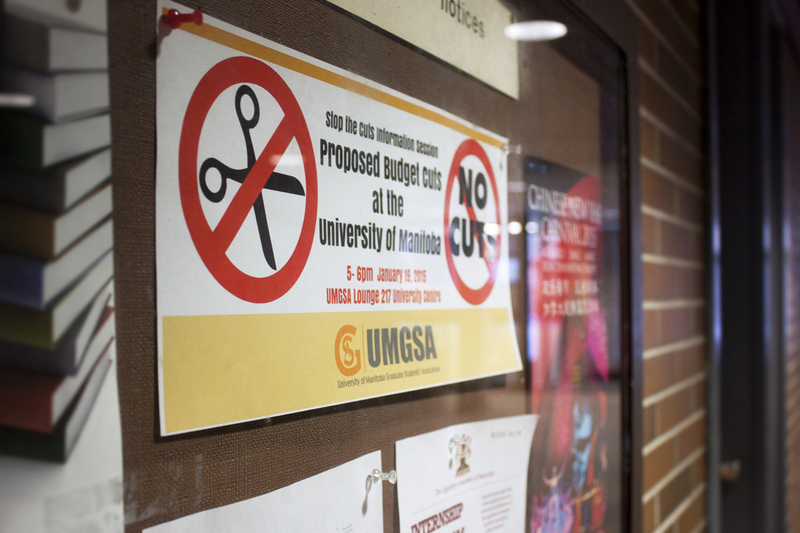 Van Rooy explained that the UMSU policy on election banners mirrors the U of M fire code policy, and given that the banners were not removed by fire marshals or Physical Plant, no breach of the bylaws had occurred.